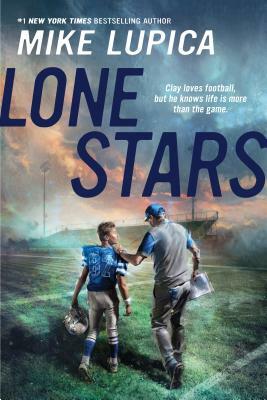 An uplifting story about role models, football, and tackling fear set in the heart of Friday Night Lights country—from the bestselling author of Heat, Travel Team, and Fantasy League. In Lone Stars, #1 New York Times bestseller Mike Lupica demonstrates once again that there is no children's sports novelist today who can match his ability to weave a story of vivid sports action and heartfelt emotion. A touching story that proves life is bigger than a game. Mike Lupica (mikelupicabooks.com) is the #1 bestselling author of many popular books for young readers, including Fantasy League, Travel Team, Heat, and Million-Dollar Throw. He has carved out a niche as the sporting world’s finest storyteller. Mike lives in Connecticut with his wife and their four children. When not writing novels, Mike Lupica writes for New York's Daily News, appears weekly on ESPN's The Sports Reporters, and is a special correspondent for MSNBC. Follow Mike on Twitter @MikeLupica.